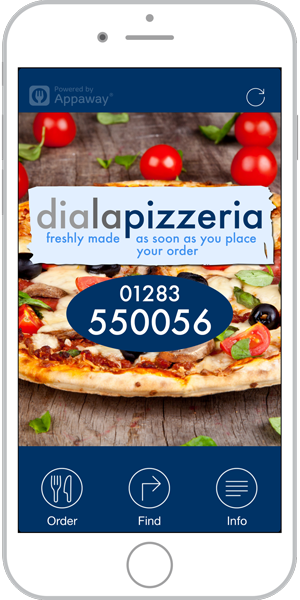 DiaLaPizzeria started trading in Swadlincote back in 1989 and we have always taken pride in all the food we serve to you. We would like to thank you all, old and new customers and as always if you like what we do, tell others, if not please tell us. We do our best to make your food just the way you like it, as all our food is freshly made and prepared. After you have placed your order we start to cook and bake it just the way you’ve asked us to. We only use the best ingredients available, this ensures that the best possible quality food is served and delivered to your door seven days a week.